Holy Trinity Church in Poughkeepsie, New York committed to Screenflex room dividers to separate a kitchen area and a large conference space in the gymnasium. The set up was a huge success. At the time they didn’t realize the countless ways they would be using their room dividers. 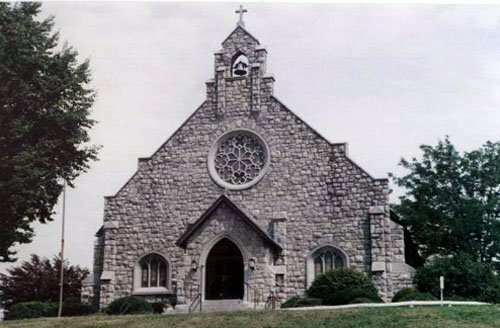 Holy Trinity Church was established on June 6, 1921, at a time when many Catholics were settling in Poughkeepsie and were in great need for a new church. On June 11, 1922, about one thousand men and women came together to watch the laying of the cornerstone of their new church. What an exciting and monumental time it must have been to watch your church building come up. Over the years, many changes and blessings had taken place. Holy Trinity Church opened its own Catholic school in 1952. Many ministries that are supported and run by Holy Trinity are helping families all over the Poughkeepsie and the surrounding areas. I was touched to see how the caring ministry helps the homeless, handicapped, widowed and provides transportation to the elderly to name a few of the many wonderful programs they offer. Just as the church adapted to meet the needs of it’s growing community, Screenflex room dividers helped Holy Trinity adapt its internal space which led to unexpected benefits. Holy Trinity received their Screenflex room dividers in July, intending to use them for an adult conference that was run by the Archdiocese of New York. The dividers were set up in the gym to close off the kitchen area. Summer ended and the conference had come and gone, Lisa notes several added benefits from their partitions since the conference. Religious education started in the fall and the dividers have been used during an after school program. The public school and religious education programs could now meet in the gym at the same time. This has been a great help to the school and the church. Partitions have also been used to cover equipment and books, even gym equipment. “We really like the way they bend so nicely, they can create almost any shaped room”. “We use the dividers much more than we thought we would”. “They are great”. “The color we selected matches our walls perfectly”. We are happy to hear that you are using your partitions for various needs around your church and school. Screenflex wishes you many blessings.